Get your name on the packaging, and get seen wherever anybody goes with the customised Savoury Bar Mix 20 Gram Bag. With all the sugary options out there, it is a pleasant surprise to have a more savoury alternative. This is what our branded Savoury Bar Mix 20 Gram Bag accomplishes. Aside from that, we offer specialised branding options for your company to get your brand name out there and to help create a buzz. 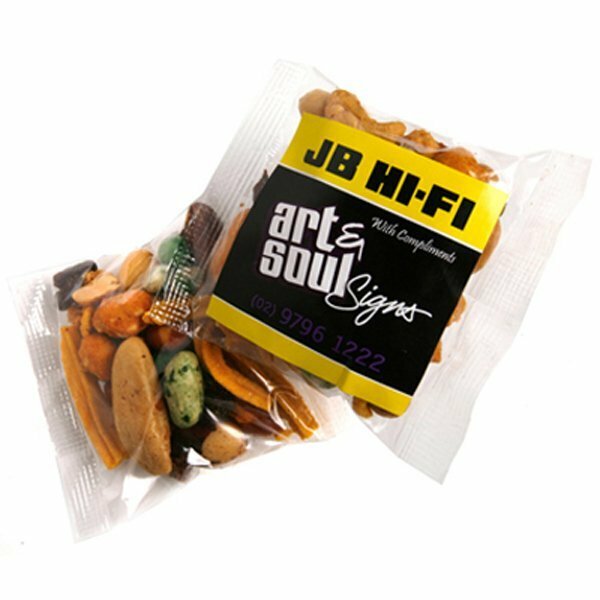 At a very low cost, the custom Savoury Bar Mix 20 Gram Bag is packed with a variety of different nuts and cracker nuts. The packaging is made of cello, a transparent material, and the size of the bag is 85 mm in width and 65 mm in height. In each packet, you get 20 grams worth of delectable mixed bar snacks. Simple enough, right? Create an edge above the rest by making this product your own. You can print out a sticker label in full colour, at 50 mm in width and 40 mm in height. On this sticker, you have the option to place your company logo, contact details, and any other information that you deem important in endorsing your brand. Make your clients’ eyes go big with this ingenious marketing product and make their lips smack with the savoury goodness of a good mix of bar snacks. 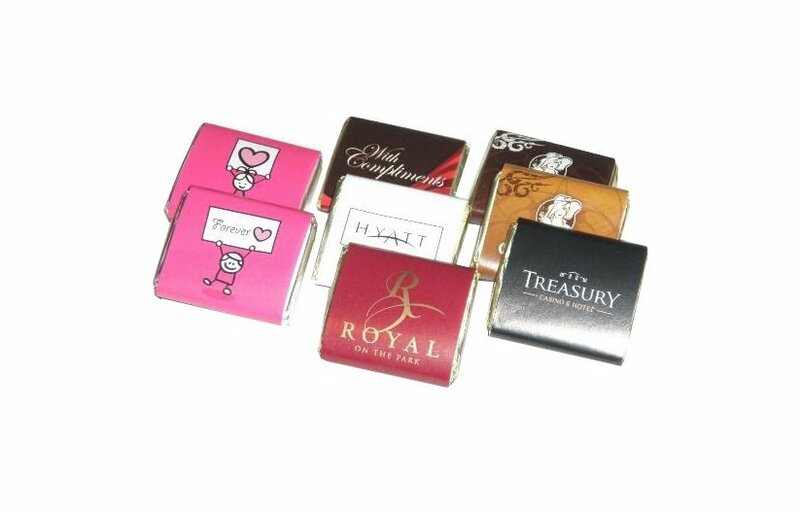 Also do check out our branded Individual Biscuit Cello Bag if you want to see another great promotional gift idea that you could take to your events. Or if you love soya, then do have a look at the personalised Soya Crisps 40 gram Bag as well. If you need help with branding your chosen product, you can ask our friendly customer service staff for assistance by dialling 1300 008 300. Or you can simply talk to us by hopping on that chat box right on this screen. Please do let us know how we can help you. 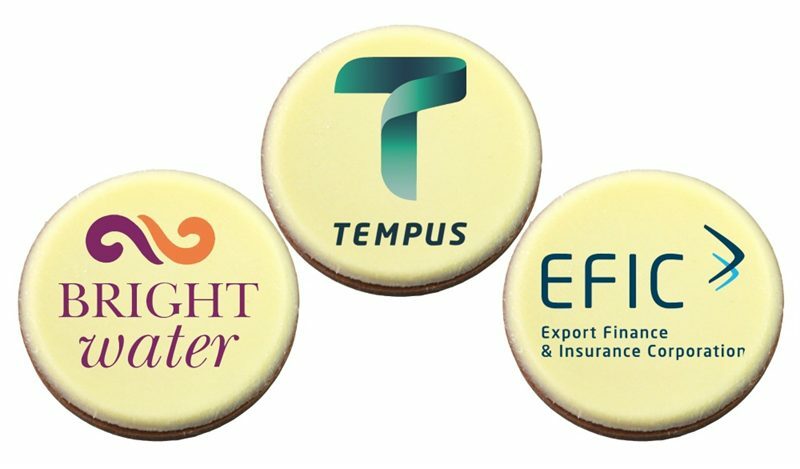 Just in case you’re contemplating buying some delicious snacks on this website and want to pair these up with other promotional items, then we’d like to also let you know that we have a sister website called Fast Caps that has a quality range of promotional head wear. Now you can have a suite of branded items for your coming parties. Maybe hop over and commence your search with our branded Contrast Cross Stitching Brushed Heavy Cotton Cap.